In this entrance to an assisted living facility, people were coming in and out all the time, and many of these people were using wheelchairs. 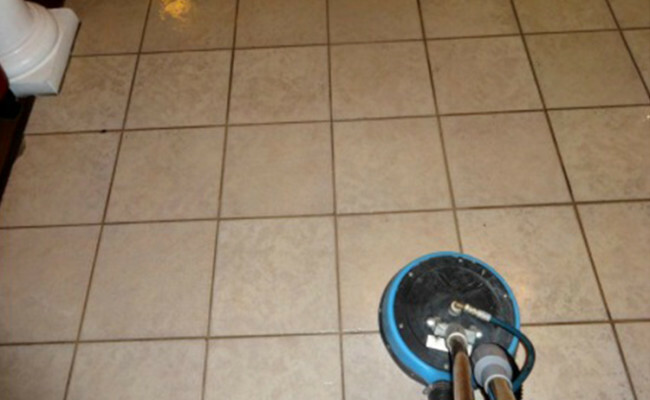 The grout lines had become very dirty-looking despite regular cleaning by janitorial services. 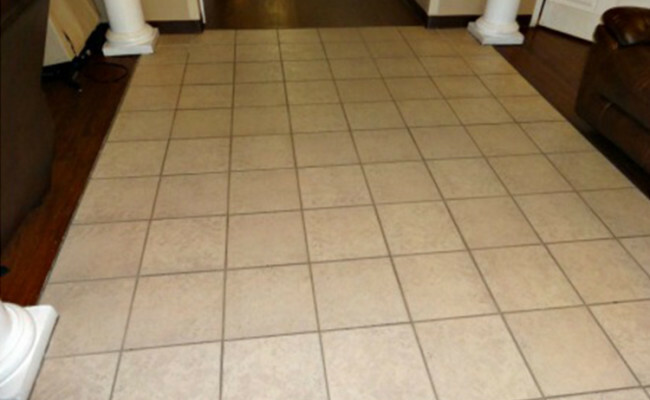 In addition, dirt and grime had settled into the pits and grooves of the textured tile, causing this floor to leave residents and guests with an overall negative impression of the cleanliness of the facility. When management realized that regular janitorial services could not produce the results they needed, they called Residential Express. 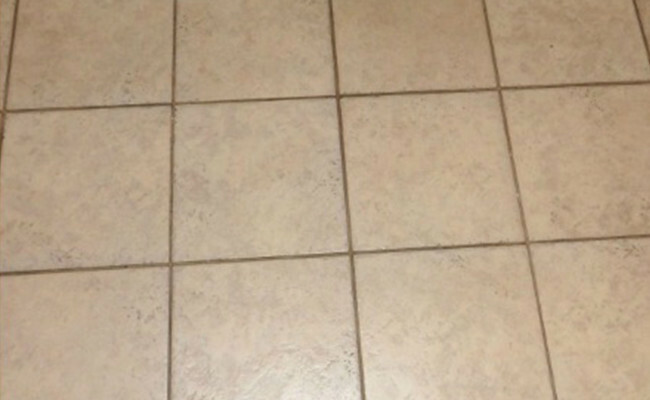 The first image shows the floor before we cleaned the tile and grout with our high-quality equipment set to 1000-1200 pounds per square inch (psi). 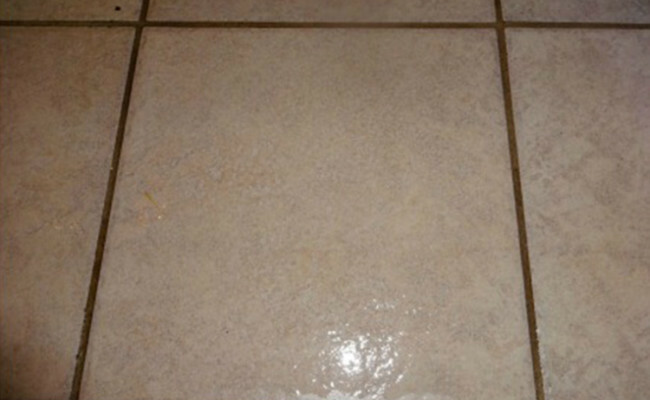 The second image shows, the floor after cleaning and after we color sealed the grout lines. You can see for yourself the floor looked brand new again by the time we were done. 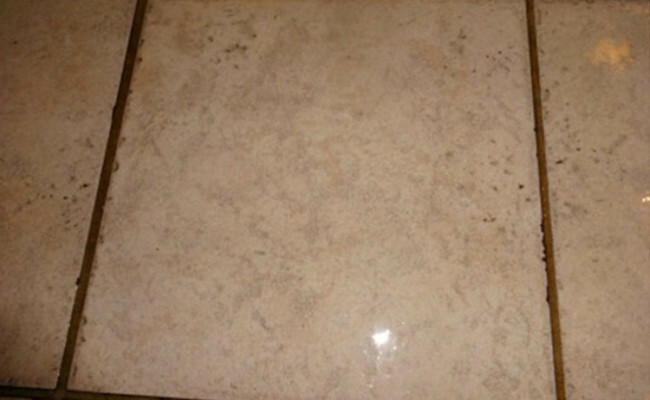 The third image is a close-up of the floor before cleaning. The fourth image shows the floor cleaned, but not yet color sealed. 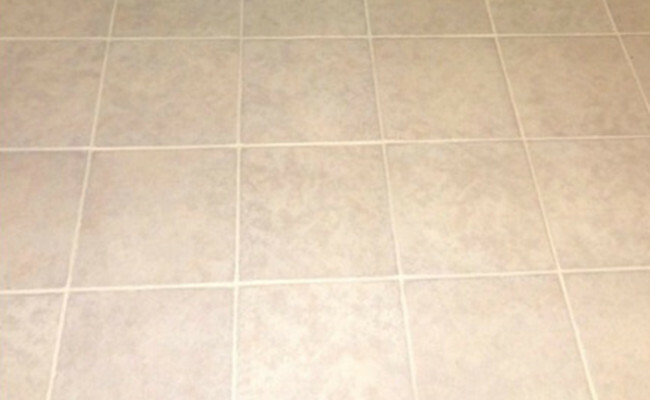 The fifth image is a close-up of the cleaned, but not yet color sealed floor. The final images show the floor partially cleaned. You can clearly see the difference between the clean and dirty areas. 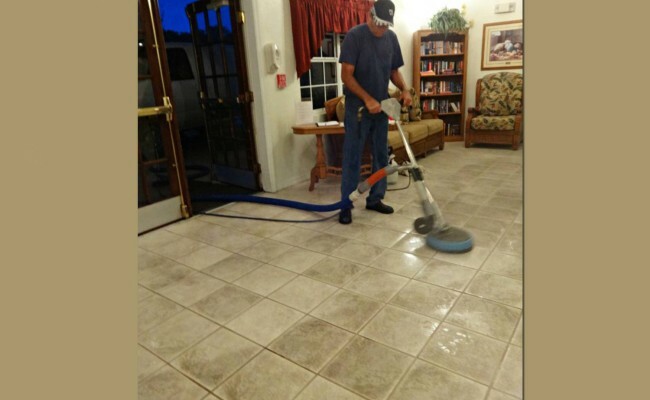 Because of the high-traffic and the textured tile, we recommended that the floors be professionally cleaned once per month, with equipment set to 400 (psi). They were so impressed with our work that they agreed to set up a regular maintenance program with us. Now, with regular daily cleaning and once-per-month professional cleaning, the floor looks spotless and inviting all the time. 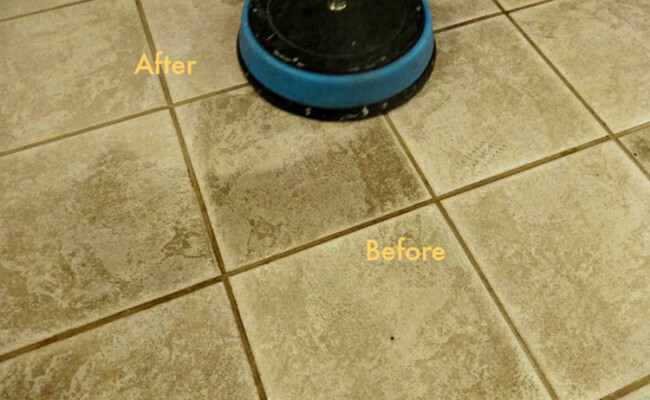 For a FREE estimate on tile and grout cleaning services in Orlando, Windermere, Dr. Phillips, Bay Hill, Apopka, Maitland, Winter Garden, Gotha, Ocoee, or Clermont, use our contact form or call (407) 947-1416 today.